‘Bar Europa’ is good for the spirit! Michele Gerace, one of the keynote speakers in the Valletta 2018 Fourth International Conference entitled Living Cities, Liveable Spaces: Placemaking and Identity, speaks to us about ambition, the community and ‘Bar Europa’. We must be ambitious. We have to set the mark and to show the direction. We can only be stronger than we are individually if we live in a strong community within our neighborhoods, our cities, our regions and countries. A community implies a shared identity, and our identity as Europeans must be sought in the commonality of a vision, in wanting the same thing, in desiring it. We need to strengthen our community spirit in Brussels, as it is thousands of miles away from most of us. We must feel European. We must recall that before calling us a formal Union we were a community – if we want to strengthen the Union and we must return to being first and foremost a community. ‘Bar Europa’ is a reaction to the apparent absence of a strong spirit of community. It is a community of people gathering under the name ‘Bar Europa’. There are young people all over Europe that can prompt new ideas where governments do not break through. They are the ones who can instigate a real change, not only limiting themselves to the actual problems but starting to offer the change, and we, people of Bar Europa, with them. That piece of wood with the inscription ‘Bar Europa’ is our sign. It represents our small revolution. It is the symbol of our idea of community. A protest against the ugly face of Europe, our offer of change. 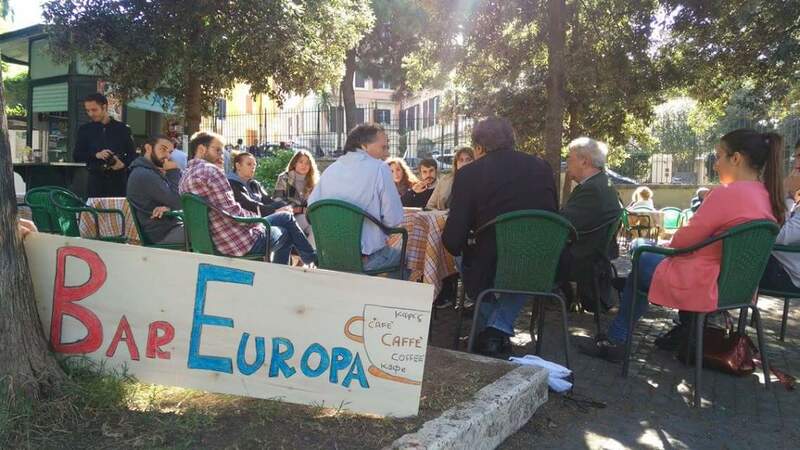 Bar Europa is composed of various organisations, amongst them Tor Più Belli, Costituzionalmente, Forestieri di Corcolle, Hubbers, Young European Federalists, Vengo da Primavalle, MoMa & The Minoses, all committed in many different ways to give their contribution for a better Europe. 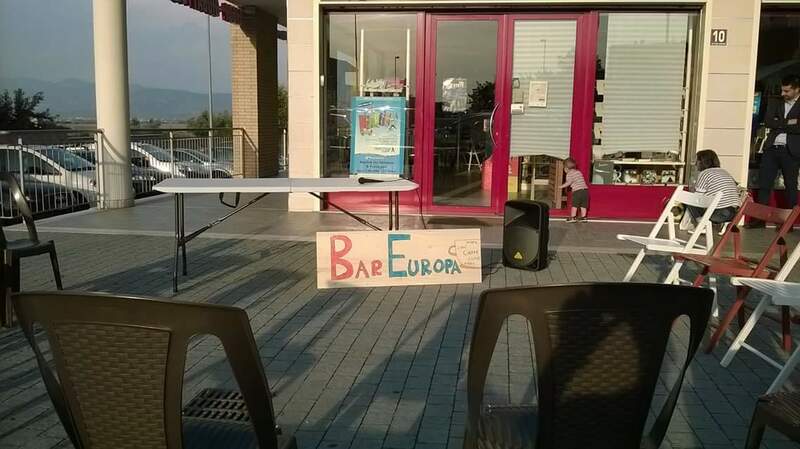 ‘Bar Europa’ has been taking place in multiple venues. Every ‘Bar Europa’ we have opened in Italy, in Europe and, we can say with some pride, in the world, is an exciting community experience. It’s a way to change our mindset and to take action. It’s activism, cultural excitement. Almost in every ‘Bar Europa’, we launch a concrete and feasible proposal. For example, we proposed to realize a common creation, exhibition, and production place in the ‘Bar Europa’ that took place in Primavalle, a peripheral neighborhood of Rome. A place located inside the cover market ‘Primavalle I’, especially intended for young people from the neighborhood, from other parts of Rome and young people from all over Europe to promote artistic and musical exchange and collaborations, in partnership with National Institute of Culture and the foreign art academies in Rome. 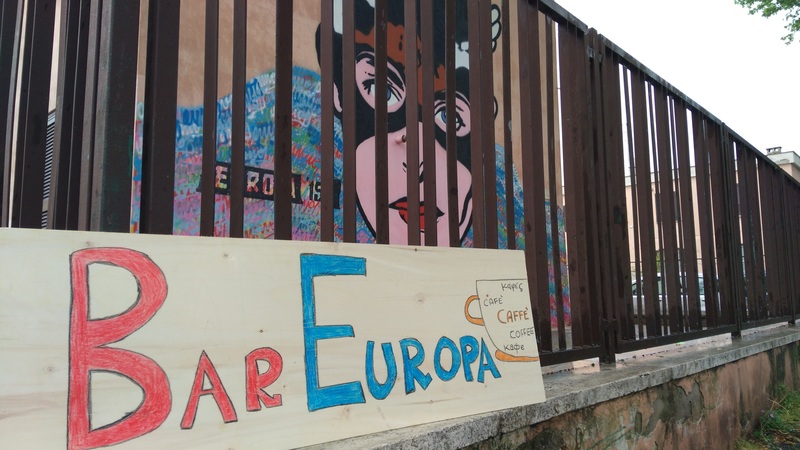 In other words, ‘Bar Europa’ entails a community and bottom up perspective creating and, where already existing, strengthening intersectorial and intergenerational cross connections between publics, activists, artists, cultural operators, representative of the civil society and local authorities. It’s an environment of change that we hope will continue to expand exponentially. ‘Bar Europa’ is a beautiful moving community that is good for the spirit!